Everyone knows the fact that Carrots are good for health due to its richness in Vitamin A, as a dietary fibre, antioxidants & minerals. Well, a new research study says that this vegetable can reduce the risk of having heart disease & can protect against cancer. According to researchers from the Centre for Disease Control & Prevention in Atlanta, apart from Carrots, vegetables such as sweet potatoes, pumpkins & winter squashes are also effective to protect against deadly cancer. These vegetables contain the anti-oxidant called alpha-carotene that has the potentiality to reduce the risk of cancer. 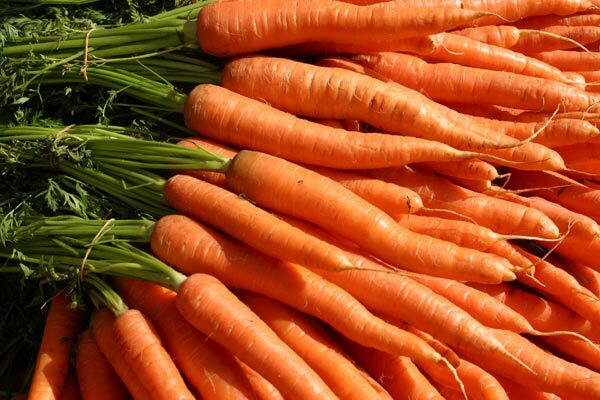 The alpha-carotene includes beta-carotene, alpha-carotene & lycopene. The Third National Health & Nutrition Examination Survey Follow-up study conducted on 15,318 adults found that higher levels of alpha-carotene had a less risk of death from cardiovascular disease or cancer. The findings published online in the Archives of Internal Medicine suggests that people should consume more fruits & vegetables like yellow-orange, carrots, sweet potatoes or pumpkin & winter squash & dark-green, broccoli, green beans, green peas, spinach, turnips greens, collards & leaf lettuce, which 've a high alpha-carotene content to lead a healthy life.